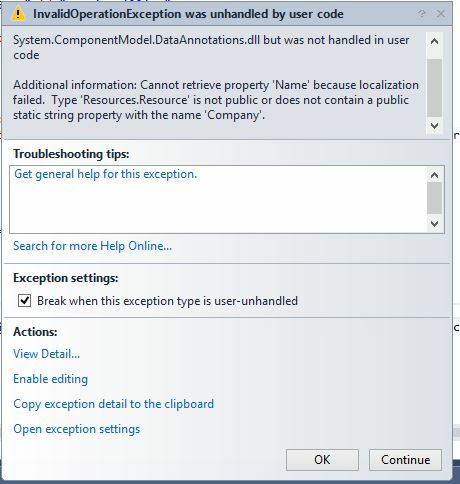 This raised because of access modifier of Resource file. It should be public. But access modifier combo can be disabled. 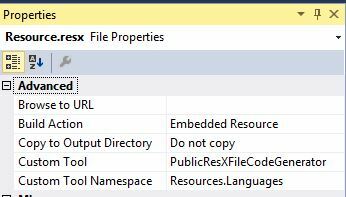 Change Custom tool property to “PublicResXFileCodeGenerator” .